Mouth-watering dishes from Cambodian and the corners of Asia and Europe are served at our restaurant, where service is attentive and refined. Our restaurant is very spacious and can accommodate more than 300 guests comfortably at any one seating. 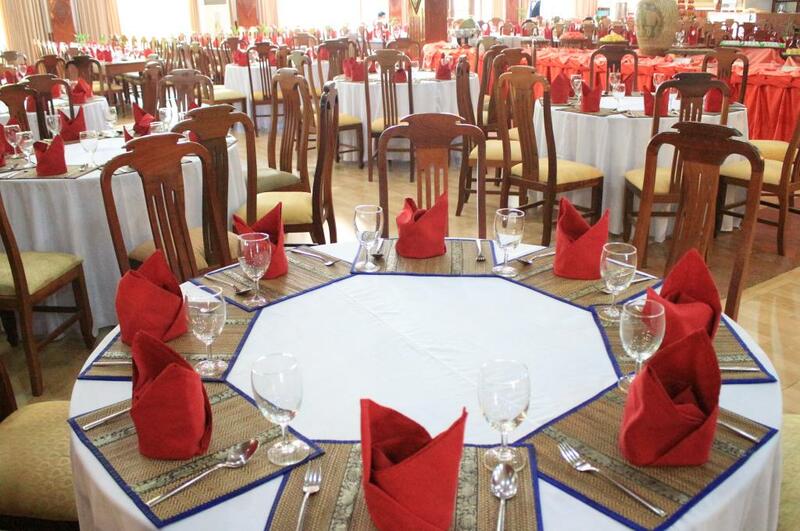 Our restaurant is very spacious and an accommodate more than 300 guests omfortably at any one seating. 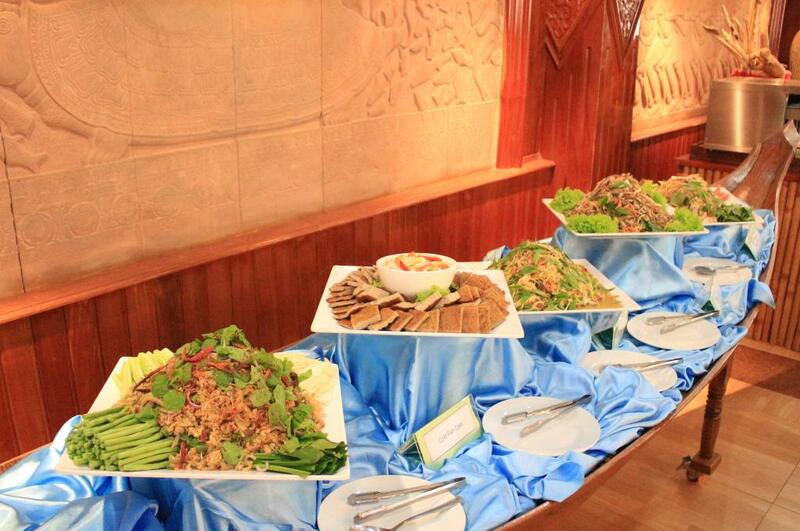 We serve authentic Khmer delicacies an delicious cuisines from all across the continents and Asia. 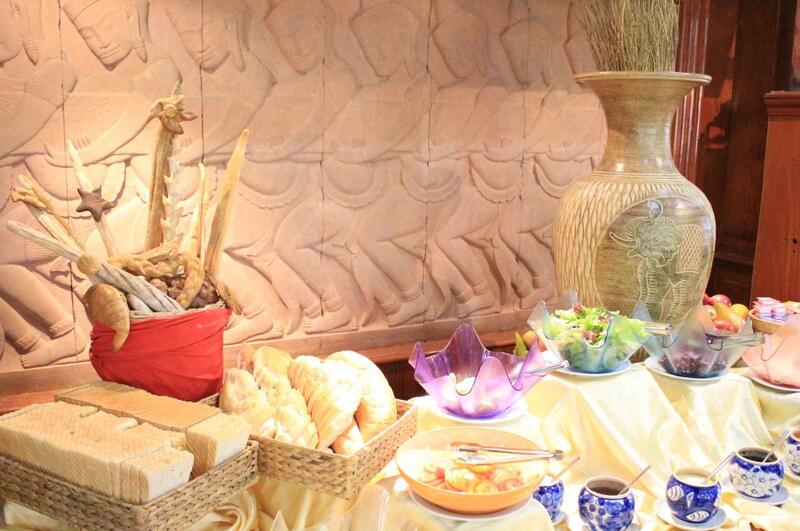 The dishes on our buffet wagon are carefully selected to satisfy the palates of guests of all nationalities. When the sun sets, enjoy special cultural performances and dine under romantic star light if you prefer.